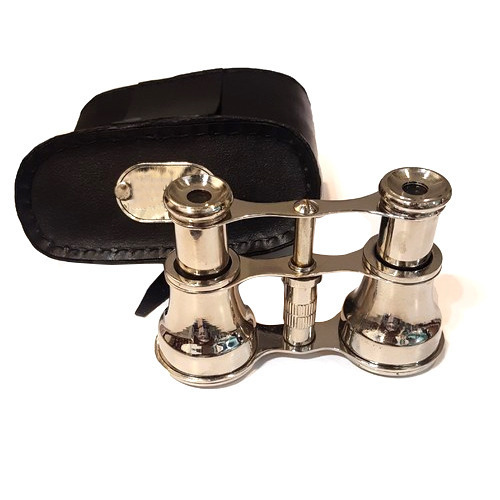 We have gained a huge pleasure in the industry by offering a wide range of Brass Marine Mini Binocular. Usage Nautical gift, General, Collectibles, etc. mentor “Atiqur Rehman Ansari (Managing Director)”, We are consistently progressing in the Industry. Welcome To Your professional marketplace! "RECORDLER INSTRUMENTS(INDIA)"has provided high quality and low cost products and turn-key solutions to surveyors, builders, contractors, engineers, and professionals nationwide for over 31 years. Our products include 3D laser scanner, RTK GPS systems, total stations, theodolites, laser rangefinders & laser distance meters, construction lasers (point and line lasers, rotary lasers, grading lasers, pipe lasers), optics, solar power products, and more. You can find the brand name you like: Leica Geosystems, Bosch, CST/berger, Sokkia, GeoMax, Stonex and South Survey, for survey & construction products; Swarovski optics products; Contour, LaserAce, Apresys laser rangefinders, and GeoMax and Stonex 3D laser scanner.laser scanner. Manufacturer & Supplier of Drawing , Survey , Nautical Instruments & also Handicrafts items. Instruments manufacturing and repair is Being undertaken for last century, So ROORKEE has became central place for drawing , survey , Mathematical Instruments & Antique gifts and has become Renowned for this. We come from the House of Instruments , Which was established by our Grand father ' Sri B.A. Ansari in Name and style B.A.A & Sons (BAASLER) established in 1936. We are proud to pronounce that Instrumentation is in our blood. We are in IIIrd Generation in production of these Instruments. This Firm which we introduce now to you, was established in 1963 by our Father 'RECORDLER Instruments (INDIA). We Have put in our Heart & soul into it, devoting whole-time energy under the best guidance of our respected elder, who are Stalwarts in Instruments Manufacturing. This accumulated wealth of experience and the latest Techniques now available are Continuously being directed in their entirely to the production of quality instruments to meet the growing Demands & Wishes of the Profession. Traditional Precious And superb workmanship undoubtedly have earned RECORDLER INSTRUMENTS (INDIA) a countywide reputation And popularity. We are Regd. Member of Small Scale Industries and also or firm is Regd. Firm under Registrar of Firm (U.P.). Individual attention is paid by us in the manufacturer of each and every smallest Component of every Instruments with highest workmanship in precision , accuracy & quality. Our Motto - More Business - Less Rate of Profit - Satisfactory supply of quality goods. We appear as most reasonable and competitive in rates. We shall be highly obliged if you will include us on the list of your approved suppliers and favor us with your Inquiries And trail order to begin with a Business. Thanking you And Assuring you of our best services at all times, We Remain.